The Island Nature Reserve, located 25 km from Port Elizabeth, in the suburb of Seaview, serves as an ideal destination for day trips with the family. The reserve which covers an area of 480 ha, has become a popular picnic spot amongst locals and visitors alike. Aside from the picnic sites the reserve also features a braai area, ablutions and a bird bath which draws many species. The reserve consists mainly of indigenous coastal forest and is home to a number of magnificent tree specimens, which include Outeniqua yellow-wood, white milkwood, cheesewood, Cape chestnut and white and hard pear trees. The Island Nature Reserve provides excellent opportunities for hiking on a number of trails which run through it Hikers making their way through the reserve will also be able to stop at some excellent vantage points, which provide awesome views of the coast and surrounding areas. The most well known of these trails is the 16 km Bushbuck hiking trail, made up of a number of interlinking loops, conveniently leading hikers in a circular path. The majority of the trails are easily manageable and span shorter distances of 1.5 kilometres, 3.4 kilometres and 7.6 kilometres. 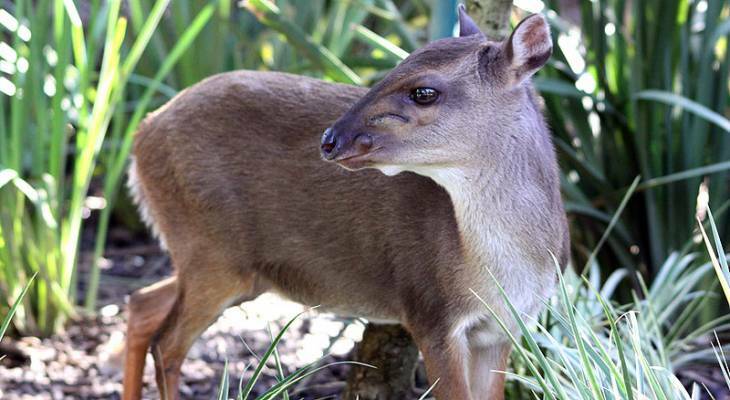 Wildlife to be seen in the reserve include blue duiker, bushbuck, and bush pigs, and those who walk quietly will possibly be spoilt with sightings of vervet monkeys. Feeding of the monkeys however, is prohibited due to public safety concerns. Visitors are often able to enjoy the curious antics of these small primates from a safe distance. Keen bird watchers will be delighted in the variety of over fifty various species to be found at the Island Nature reserve. These include the Knysna lourie, Blue-mantled Crested-Flycatcher, Narina trogon, olive woodpecker, olive bush shrike, Sweet Waxbill and Forest Canary. Occasionally Forest Buzzards have been seen flying over the forest. Island Nature Reserve Information and Nearby Accommodation.